Tutti had a girlfriend during the sixties. This girl was named Chris and had a more cartoonish look than Tutti and Todd. 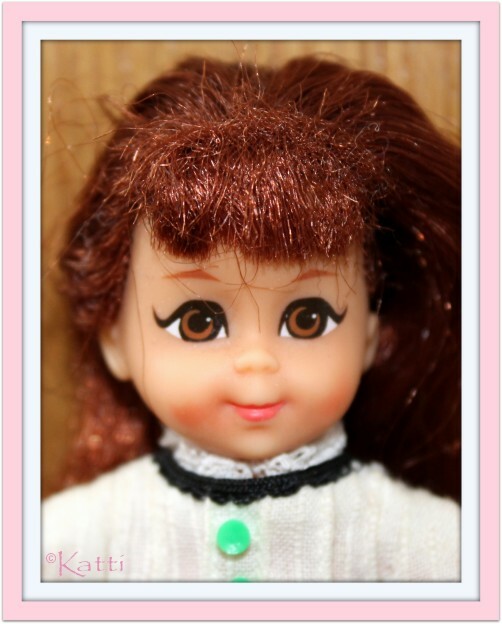 She is painted as some of the Liddle Kiddles, with that 1960's slant/arrowed lash/eyeliner and huge eyes. Chris had brown eyes but hair in brown, blonde or a light red shade. Some of the brunettes has been found oxidized into a dark burgundy red tone. Stamp inside the rim doesn't say what year the sculpt is copyrighted. Carla is Tutti's black friend. 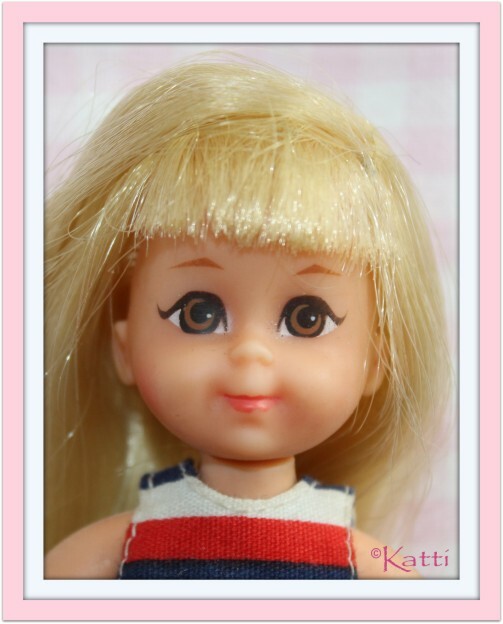 Years after the tiny siblings and friends disappeared from US doll stores, we still got Tutti and pals in Europe and along with Tutti, Todd and Chris, there was this black kid with two black pigtails. 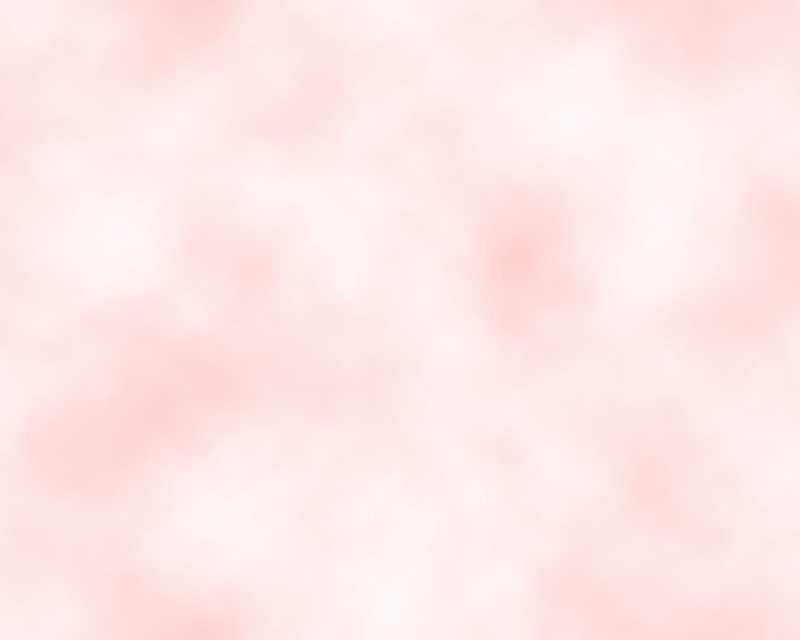 That is Carla. 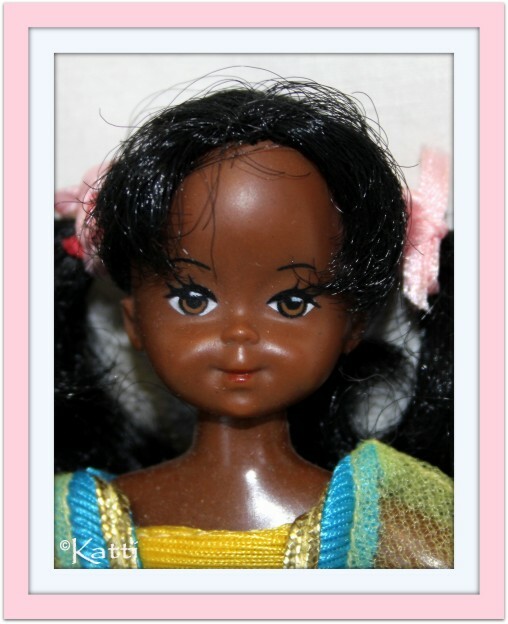 Europe rarely gets any black dolls and suddenly we got Carla and the US didn't? 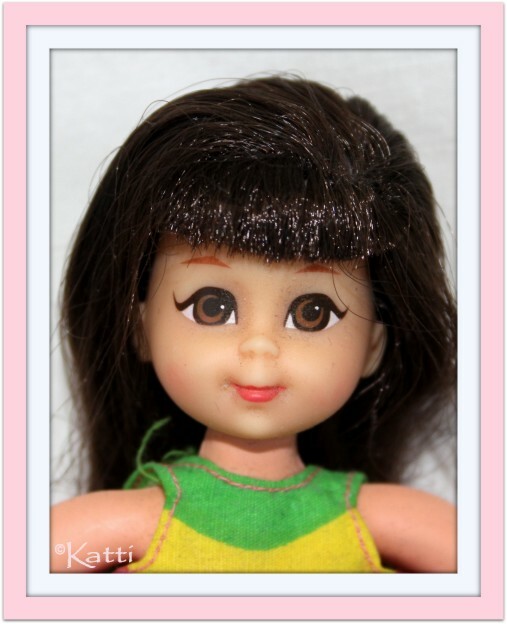 (as far as the stories go) As the rest of the European "tutti" dolls from the seventies, Carla has a harder plastic body than the sixtie's dolls. Buffy and Mrs Beasley was characters in a teve series in the sixties. These came as dolls in several sizes but one was made with the Tutti body and Chris sculpt. 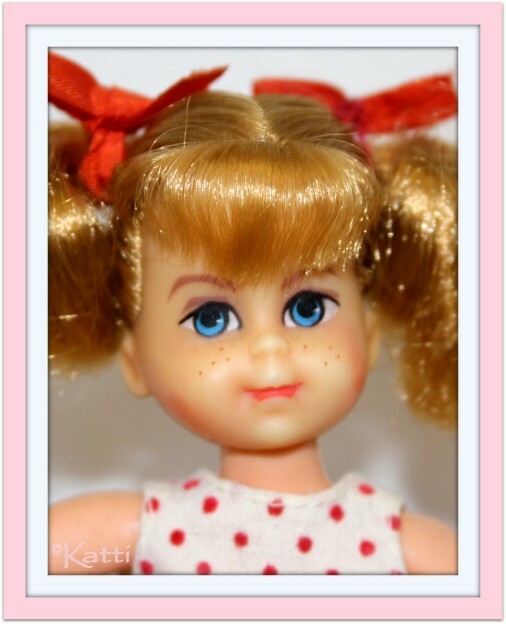 Buffy has honey golden blonde hair in two pigtails, blue cartoonish eyes and freckles. Mrs Beasley was Buffy's doll.